If your system goes to sleep and then wakes up randomly, we have a solution for you. Just follow the steps below to get rid of the situation. When you are not using your System, don’t put your System On because the battery is still using whether you are using or not. It is good habit to put your System in sleep, when you are done with your work and want to take rest for some time. But in many cases, your system wakes up by itself from sleep. This is little surprisingly for users. There seems some issue with your system that forces it to wakes up from the sleeping mode. Let’s figure it what can be the reason for it. The first thing we’ll see through Command Prompt, that what last thing makes your System wakes up. 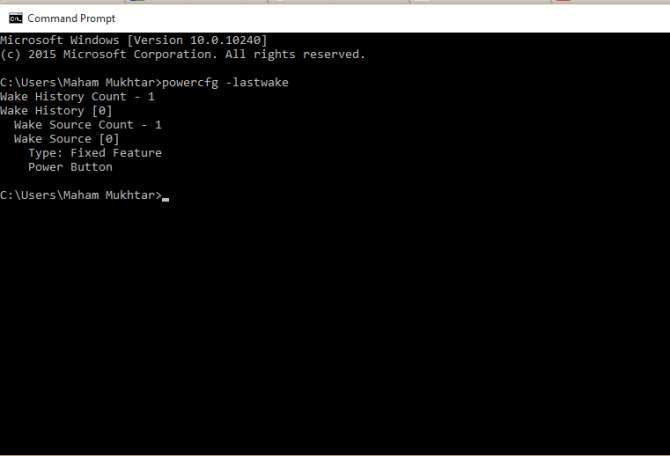 Open your CMD and write the command “powercfg -lastwake”. This information tells you about the event by which your System wakes up.it says that power button wakes the System. This method won’t give you correct information every time. So let’s look out for more ways to identify the reason. In your System, there is some task that makes your System up from sleeping mode. So you can schedule them or stop those tasks. Here is the way to disable the Tasks which are making your System Up from sleep. Type “Power Options” in start menu and go to “change plan settings” in front of the power plan you are using. Then click “change advance power options”. And then you’ll see the “Sleep” option in list. Expand it further to find the “Allow Wake Timers”. “Disable” it for all Settings. Disabling this stops any program to wake your System Up. Your Systems hardware can also be the reason behind waking up your system randomly, mouse, keyboard and other hardware. 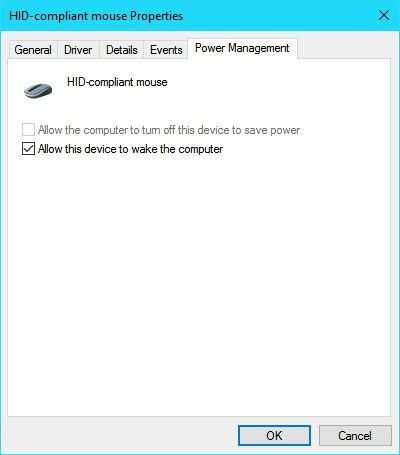 Go to the Device Manager and select the HD-Compliant Mouse. And right click on it and select Properties. 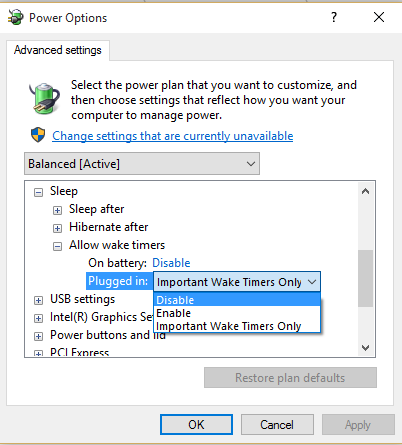 There you see the check box for “Allow device to wake the computer”. 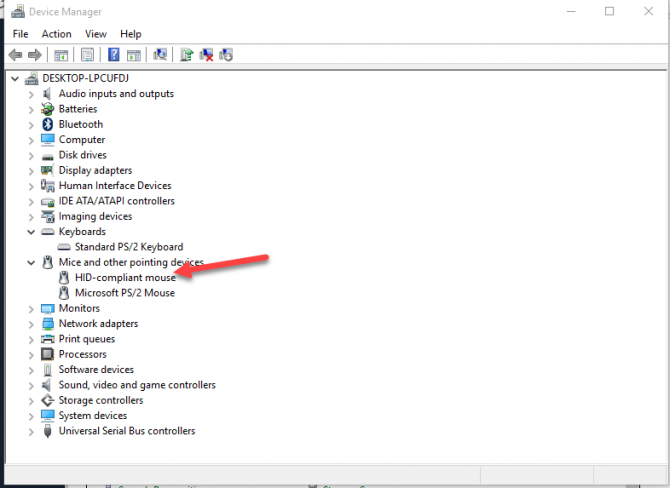 Un-check it and now mouse will not make your system wake up. You can do the same with keyboard driver’s properties. The Windows do regular maintenance Task at every night at 2.00 AM and wakes your System from sleep to complete the maintenance. The maintenance includes the checking of Disks and volume of Disk’s errors. 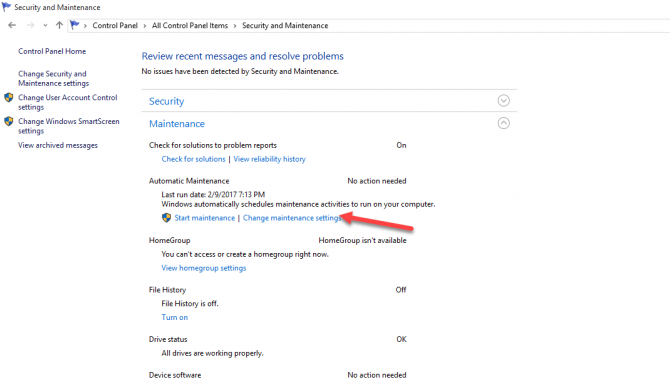 You can stop this scheduler so that no maintenance will be done and your PC will not wakes up. Track the following steps. Go to Control Panel and then “Security and Maintenance”. And then from “Security and Maintenance” select “Change maintenance settings”. And here is the check box for “Allow Scheduled maintenance…” un-check it to disable the maintenance so that your system won’t wake from sleep. You can again enable it, if you want maintenance of your System’s disks. These all are ways to which you can make your system in sleep mode and no one can wake it up until you don’t want it to. Sleep is very useful feature of Windows OS as it reduces your power consumption and other systems resources and makes your system smoother in performance.